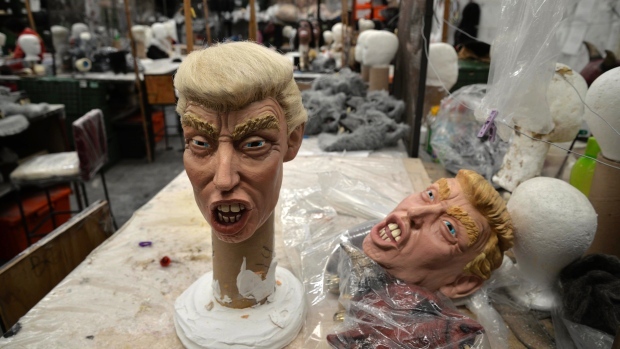 This year’s hottest Halloween costume in Mexico is also one of the countries most hated men – Donald Trump. Wigs, masks, and even full-body suits of the Republican front runner, are now selling like hotcakes ahead of the late October holiday, Diego Esponda, CEO of Mexican costume maker Caretas REV, recently commented. Donald Trump infuriated most people living south of the border (and most with Latin heritage living in the US) when he denigrated Mexican immigrants as criminals, drug traffickers and “rapists”, then promised to build a massive wall on the border and make Mexico pay for it. Several of his masks now being sold extenuate some of his worst features, exaggerating his open mouth and his signature blond hairdo.